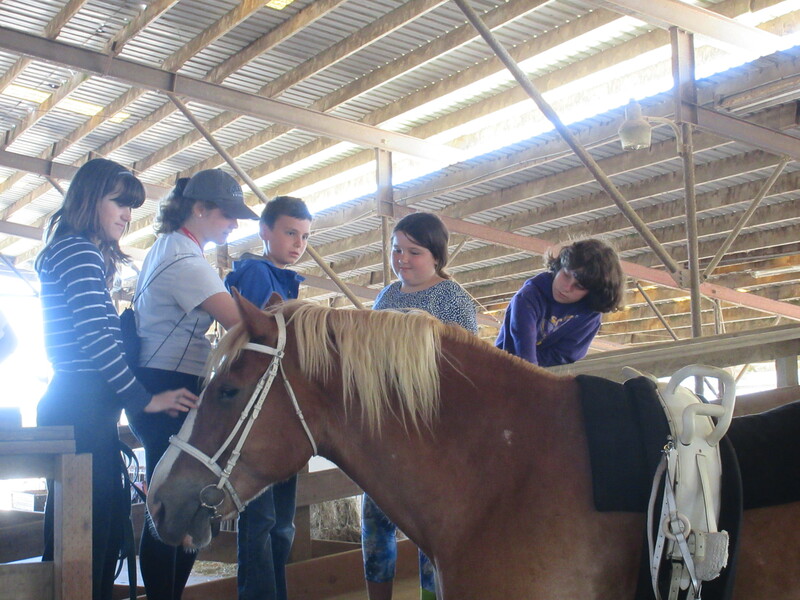 In preparing for the arrival of more than a dozen Tikvah campers and Ezra (vocational training) participants in the second year of the Tikvah program at Ramah Galim, the Tikvah staff visited the horseback riding program where all campers enjoy horseback riding during the summer. 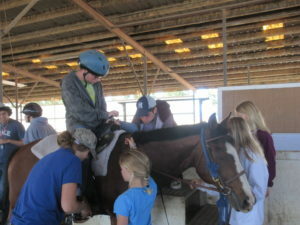 We discovered an extraordinary program which would benefit our campers and staff all session long! It is tempting to think that the main treasures close to Ramah Galim are the obvious ones—the beautiful beach and sky, the lush fruit and vegetable fields, and of course the amazing program, staff and campers. Yesterday, our staff had two opportunities to discover gems no more than a 20-minute walk from the bayit, the central dormitory for all staff and campers. Yesterday, our lives were transformed. All staff members got up on horses and learned how to vault, and we learned how to use five separate combs and brushes to groom horses. More importantly, we learned of their impactful work with children and young adults from a wide range of backgrounds and with severe autism and behavioral issues. 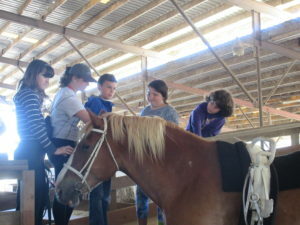 We then visited their farm animals and their sensory gym, where we got to pet goats, sheep, ducks and other farm animals. In addition, Daniel Olson, our Ezra coordinator, had the opportunity to explore a range of potential afternoon job sites in animal carefor our Ezra participants. 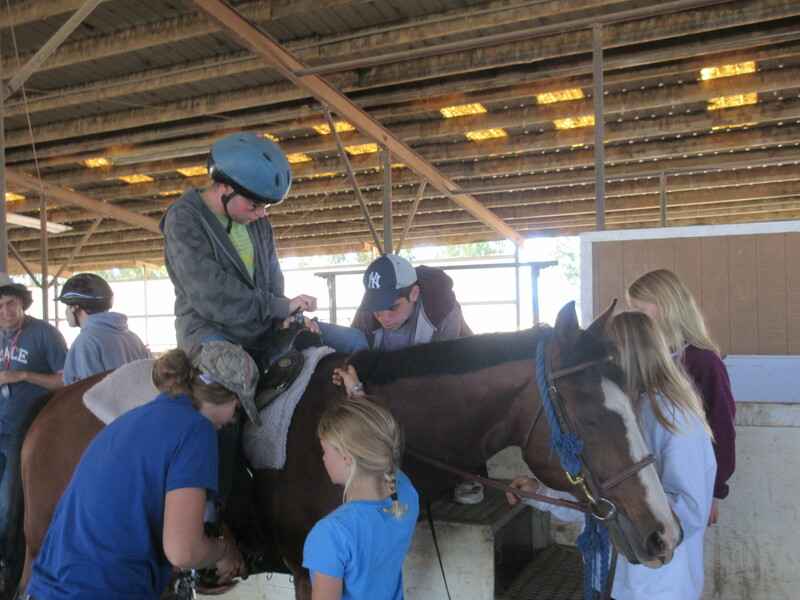 What struck our staff was the willingness of their team to welcome our campers, to create opportunities to ride and interact with animals, and to otherwise partner with us in the important work of inclusion of people with disabilities, something which our camp and MBHTC both value. We look forward to continuing to build on this wonderful relationship. Our day ended by discovering another gem–Manresa State Beach. Just a short walk away along the beach, Manresa offered our staff a place to further bond, and to have a full walkthrough of our upcoming masa, the camping trip and outing that our campers will surely enjoy. Howard Blas is the Tikvah director at Ramah Galim as well as the director of the National Ramah Tikvah Network. Howard has been affiliated with various Ramah Tikvah programs almost continuously since 1984.